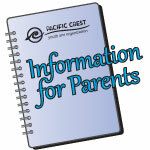 Your son or daughter has expressed interest in joining Pacific Crest. Now what? We’ve compiled some information about the experience to help answer questions you have. 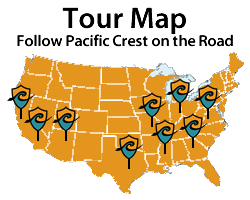 If you’re familiar with travel baseball or club soccer, drum and bugle corps (also known as drum corps) is the equivalent experience for marching band performers. Young performers, ages 16 – 21, come to Pacific Crest because they want to experience the highest level of performance and competition in the marching arts. Drum and bugle corps performers are among the best in the world at what they do and demand intense programs, instruction, and competition. At Pacific Crest, they will travel 12,000 miles and perform for 100,000 fans in some of the world’s most famous stadiums, as well as on the cinema screen! Still have questions? Please contact Executive Director Stuart Pompel at pompel@pacific-crest.org.